I’m hoping to get a bit of collaboration going on this as I don’t have the time to be able to spend on the programming but there is quite a lot that has been done already that others may find useful. Al also mentioned that he is also working on an updated Add-in that will work on all Window Server Essentials lines as well, which is great news. 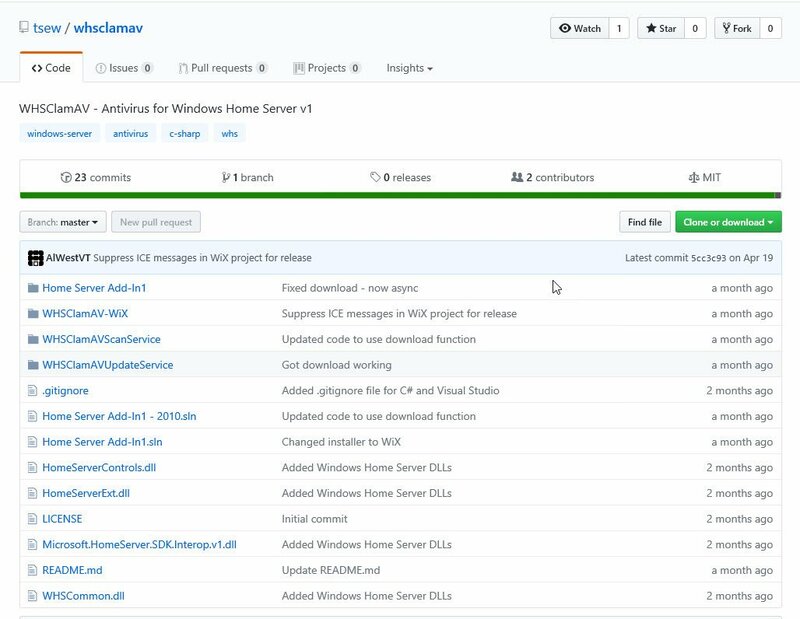 Get involved with WHSClamAV on GitHub.